Each year, The ADCC Board of Directors honors a leader who has made a difference to the dance world, presenting the honoree with The ADCC Lifetime Achievement Award. The ADCC will present its 2018 Lifetime Achievement Award in memory of the late William E. Fowler, Jr., of Fort Lauderdale and Medford, MA, who sadly passed away last September. The award will be presented to Mr. Fowler’s husband, Robert Planutis, during the Industry Excellence Awards Gala at the ADCC Annual Meeting, September 25-28 at the Astor Crowne Plaza in New Orleans. William Fowler (known to many as “Uncle Bill”) was owner and artistic director of Fowler Dance Studios, as well as a pioneer in the dance community, a dancer, choreographer, internationally recognized adjudicator and author, and an advocate for dancers worldwide. In his youth, Bill Fowler and his brother Danny performed as the “Fowler Brothers” in nightclubs and theaters throughout New England. He founded the Fowler Dance Studios in his hometown of Medford, Massachusetts and taught there for 42 years. Many of his students went on to become professional dancers, teachers, and choreographers. Bill was also an adjudicator for numerous organizations in North America, including American Dance Awards, Dance Educators of America, and (ADCC Platinum Member) Headliners Dance Competition, and was the creator of many Special Judge’s Awards presented today. Bill Fowler held many important positions in the U.S. competitive dance world, including Performing Arts Director of the National Dance Council of America, President of the United States Dance Sport Competition Federation, and President of the North American Dance Championships. Internationally, Bill was instrumental in completely reshaping the International Dance Organization (IDO), the foremost organization in world dance competition. Since 1998 he served as IDO’s Senior Vice President, President, and was most recently Honorary Lifetime President, in addition to other positions with the organization. He judged and/or chaired for almost every competitive dance organization in many countries across the globe—Germany, Russia, China, Colombia, Canada, and South Africa, to name only a few. As an author, Bill was a contributor to Dance Studio Life, Dance Teacher Now, and Dance Teacher Trends, and he published the only known book on competitive dance judging, The Judge’s Handbook: An Inside Look at Judging Performing Arts Competitions. In choosing William Fowler as this year’s Lifetime Achievement honoree, The ADCC Board recognizes an individual whose passion and dedication to the dance community served an inspiration to thousands of dancers for many years, and will continue to inspire for generations to come. At its Annual Meeting & Industry Awards Gala in Las Vegas in 2017, The ADCC was delighted to name Debbi Dee as the third annual recipient of The ADCC Lifetime Achievement Award. 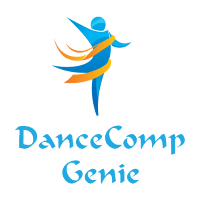 Debbi Dee is a nationally renowned tap dancer, choreographer and dance teacher. A protégée of Broadway choreographer Henry LeTang, she began her career working alongside him, and with some of the biggest names in show business. She has performed professionally as a soloist on national tours, nightclubs and Off Broadway, at Lincoln Center and Las Vegas, with The Count Basie Orchestra and Lawrence Welk Orchestra, and on numerous television shows. Debbi has maintained successful faculty positions with two of the most prestigious Broadway Studios, Henry LeTang Studios and Broadway Dance Center, where she continues to be a guest faculty member. She has also held guest positions at OCU (Oklahoma City University), and the University of Buffalo, as well as numerous performing arts schools. Debbi continues to teach at private studios, giving master classes as well as private choreography instruction. She currently works on Convention Platforms, teaching teachers as well as students for many major dance organizations, including Dance Olympus, Dance Masters of America, Florida Dance Masters, Dance Educators of America, Dance Teacher Summit, Dance Makers and many more. Her “Debbi Dee Tap Intensive” is recognized by Dance Teacher as a higher education course for teachers, and she is internationally recognized as a master teacher in Japan, France, South America and Canada. At its Annual Meeting & Gala in Las Vegas in 2016, The ADCC was thrilled to name Jo Rowan as the second annual recipient of The ADCC Lifetime Achievement Award. A nationally renowned ballet dancer, choreographer and dance teacher, Jo Rowan is Professor of Dance and Chairman of the Dance Department at the Ann Lacy School of American Dance and Entertainment, Oklahoma City University. She has had a long and distinguished career, appearing in ballets, musicals, and on television, and touring the world with The American Spirit Dance Company, of which she is founder and director. Jo Rowan is a frequent lecturer on the history of ballet and American dance and has written and narrated “American Dance Styles” and “Seventy Years of American Dance” for television. She has served as spokesperson for National Dance Week Education, and was honored by Dance Teacher magazine as National Teacher of the Year in Higher Education, among many other honors and awards. In choosing this year’s Lifetime Achievement honoree, The ADCC Board recognizes Jo Rowan’s vast experience, her commitment to excellence, and her lasting influence on the field of dance. Art & Nancy Stone were named in 2015 as The ADCC’s first-ever Lifetime Achievement honorees. Art and Nancy are both internationally recognized as dance teachers, business leaders and dance industry professionals. Early in his career, Art Stone began teaching for organizations such as Dance Caravan, Dance Educators of America (DEA), Dance Masters of America (DMA), and the National Associate of Dance & Affiliated Artists (NADAA), and was soon recognized as a leading choreographer at dance conventions. In 1960, he founded Art Stone/The Competitor® to produce costumes and built Art Stone Theatrical into the nation’s premier theatrical and dance costume company. In 1976, Art joined his father Jules Stone in launching Dance Olympus, a dance education workshop, and the DanceAmerica competition in 1983—setting new standards for the industry. Art served as President of both trend-setting companies until his retirement. Art is past President of the United Dance Merchants of America (UDMA) and has received numerous awards including the Presidential Award from Dance Masters of America. Nancy Robison Stone opened a dance studio in Jackson, Georgia, a small rural town in 1961. Nancy and Art married in 1977, seventeen years after their first meeting. Nancy maintained her dance school in Georgia, but also became Vice President of Art Stone Theatrical, where she was technical director of the costume catalogs, and Vice President of Dance Olympus/DanceAmerica. Now retired as well, Nancy serves on the advisory board of Dancers Responding to AIDS and Dance Teacher, is chairman of the board of the National Dance Week Foundation, and has served on the board of United Dance Merchants Of America. Together, Art and Nancy were recipients of the prestigious Preservation of Our Heritage Award in American Dance from Oklahoma City University’s American Dance and Arts Management School.